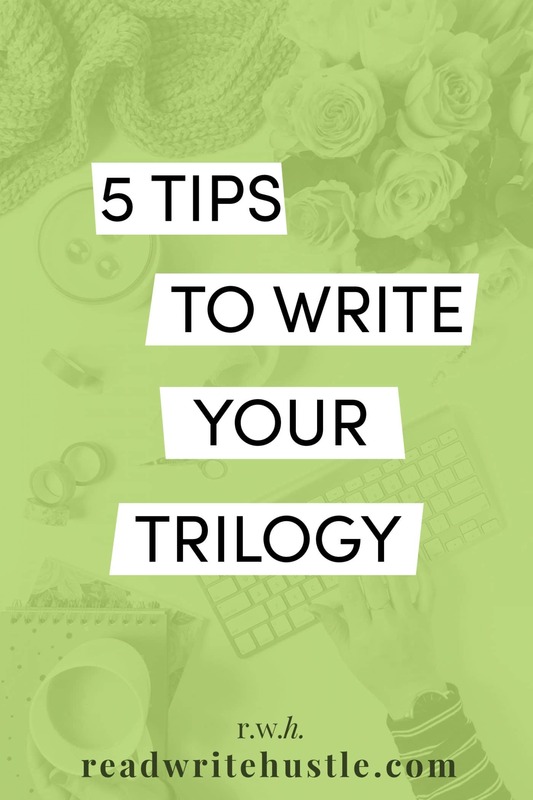 5 Tips to Write Your Trilogy » Read. Write. Hustle. 1. Determine the arc that spans all three books. 2. Each book is roughly the equivalent to an act in the three-act structure. 3. Each book must also be a stand-alone story. 4. Your characters must have “legs”. 5. Your “golden thread” must run throughout all the three books. That’s too long for a novel. *gasp* No, really, it is. Your average reader doesn’t have the time to slog through 200,000 words no matter how awesome your book might be. The solution? Maybe you should turn this epic novel into a trilogy. In storytelling there’s the concept of a three-act structure. In Hollywood screenplays you’ll almost always find that movies follow this three-act formula because it’s a tried and true form of storytelling. Those movies capture viewers and keep them coming back for more and more. So, if it’s so popular, how can you apply the concept to your own writing? Do you just take an idea and arbitrarily chop it up into three stories? Or do you just come up with a great character, three premises, and then you’ve got it in the bag? Er, neither. But keep reading! I swear you’ll be sorted out by the time you reach the end! The ultimate successful trilogy is based on the basic three-act structure where book one is the equivalent of act one, book two is act two, and book three represents act three. The only thing you need is one big arc that runs within the individual books. Then those individual books need to be compelling enough to carry the book on its own. Trilogies are great if you’re the type of author who has complex plots, a broad scope, and characters that are ensnared by a life’s journey. If you try to stuff it all into one book, you’ll have a novel that’s too intense for a reader to fully enjoy. Giving yourself the breathing room of a trilogy and spreading out the journey across three books will ensure that each book is better and if you get it right the first time, you’ll have a guaranteed audience for books two and three! Yay! One of the most important aspects you need to grasp is that you’re embarking on a multilayered project. You’ll have the trilogy arc but each book within the trilogy needs to be able to stand on its own. Let’s look at how you can turn your epic tale into a trilogy. This is the most important step you’ll take in this whole process. Without knowing this arc, you don’t have a cohesive trilogy. You have three books that might be distantly connected to each other which can be just fine, but we want better than fine, don’t we? A leper passes out on the floor of his lounge room and wakes to find himself in a strange land. There, instead of being treated as an outcast, he is considered a savior and the question is asked, will Thomas Covenant accept his destiny and save The Land? The larger story: will Lord Foul prevail or will Covenant save The Land? A farm boy dreams of becoming a fighter pilot. He meets a Jedi Knight and trains in the ancient art. The question is asked, will Luke Skywalker become a Jedi, save the Rebels and bring freedom to the Galaxy, or will he turn to the Dark Side like his father? The larger story: who will prevail, light or dark, good or evil, The Rebels or The Empire? A man is found floating off the coast of Marseilles. He has no idea who he is. As he attempts to find out, will he learn his true identity, or will Jason Bourne wish he’d never asked? The larger story: it is one man against the world, as Jason Bourne challenges the might of the CIA, and who will prevail? These are just a handful of examples that ask an initial question with their journeys laid out and the possibilities open to the trilogy author. Figure out your arc and then backdrop it against a love story, a war, or space opera. No matter what, you’ll have some great bones to work with. With a three-act structure, act one is the set up/decision to act, act two is the action and act three is ultimately the resolution. When you plan your larger arc (which is step one) this skeleton helps you form the basis of each book in your trilogy. Book one will cover the elements of the larger story that involve the set-up and then over the threshold of your new world or some other action. Book two will follow up with the result of the decision to act in book one. The story moves forward through the midpoint and ends on a darker note. This leaves book three to reveal the big rescue from the snares of defeat as the arc reaches its climax and questions are answered. Planning this in the earliest stages will give you a firm structure so you know where to go with each book’s plot, structure and characters. You need to be aware of the layered aspect of writing a trilogy. You have a larger, over-arcing story being told in the three-act structure already. Now you need to plan out the three stories within that structure. Books that will fulfill the criteria of other works that are successful in their own right. Having a reluctant hero who hears the call to adventure—and then refuses—is very comment. Thomas Covenant is a good example. The first book can be the hero trying to escape the call. The opposite can also be true where you have a willing hero like Luke Skywalker or Frodo that is a complete hero’s journey where the hero embraces the quest but leaves the greater part of the task incomplete. The most important aspect is to hold information or events back as long as you can. It’s very tempting to reveal too much in the beginning, but do your best to avoid that mistake. Give readers a little credit for intelligence and imagination and don’t give them everything from the get-go. Trilogies are awesome when it comes to holding back secrets and giving surprises to keep them guessing. Some good examples include Darth Vader’s reveal that he’s Luke’s father, the “love story” between Elizabeth and Captain Jack Sparrow, and the scene at the end of the second Bourne filme which is repeated at the climax of the third film. You’re in an awesome position to lead your readers where you want so use it! I mean, unless you’re writing squid-like aliens, I assume your character has legs, but that’s not what I mean when I say that they must have “legs.” I mean they can’t be flat, lifeless characters. There’s nothing worse than trying to hold a reader’s attention with these flat characters for three books. Do your homework on your characters just like you would with any other book. Put their flaws and needs up front for readers to see. You still have to grab your reader’s attention on page 1 whether you’re writing a trilogy or a stand alone. Just because you’re writing a trilogy, don’t fall into the trap of thinking you have more time to develop your characters and story. If anything, you’re under more pressure to hook readers from the jump off. Readers aren’t going to keep reading if they’re not interested! This aspect is critical. Your “golden thread” could be a war, family saga that spans generations, a story of love, or a quest. Regardless, this is the story you are telling. Star Wars is ultimately about the struggle between the Rebels and Empire. The Bourne movies is about one man versus the CIA. The Lord of the Rings is the war of Middle-Earth. While you’ve got countless subplots, journeys, love stories, and red herrings, they all have “golden threads” and each story is integral in serving this golden thread. If you’re prone to larger ideas, give these tips a chance to make your trilogy even better. This may just be the breakthrough to turn your blah trilogy into a bestseller! 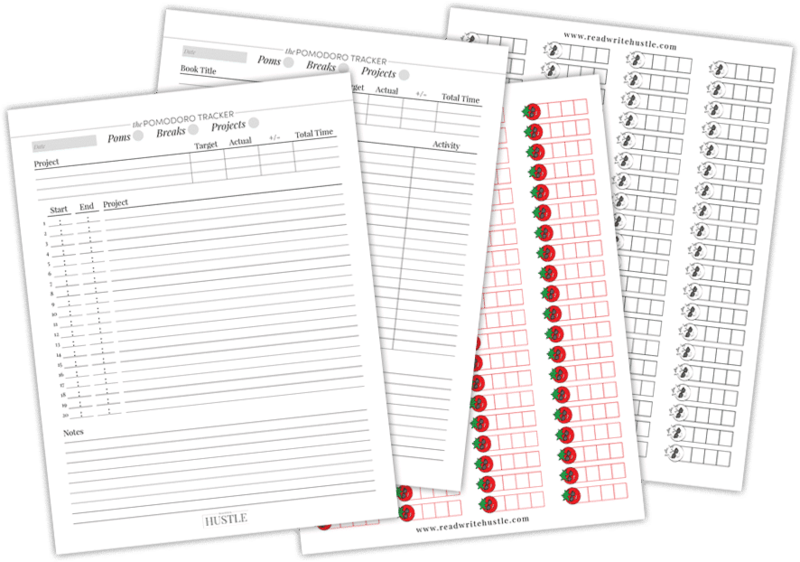 I’ve listed a few writing resources that I’ve found helpful when crafting and tracking my own trilogies. Hopefully you’ll find them helpful!